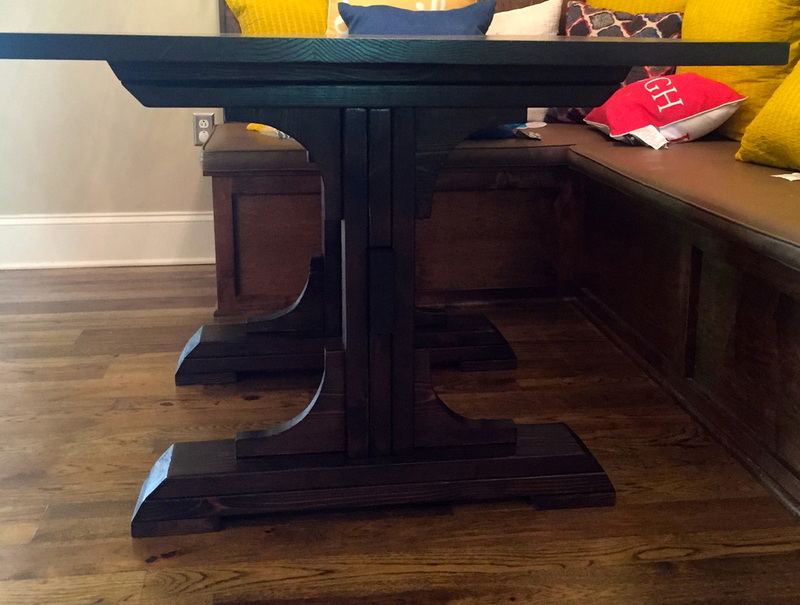 This 36" X 60" pedestal table features a solid red oak top and handcrafted pedestal legs with center stretcher made out of smooth red cedar. 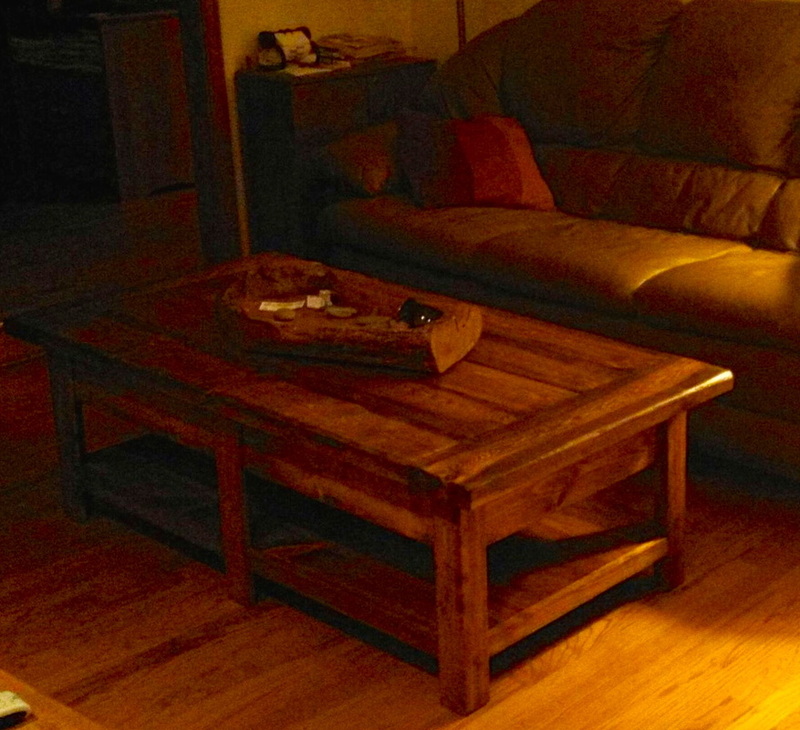 Finished in a dark Kona stain, and 3 coats semi gloss polyurethane. 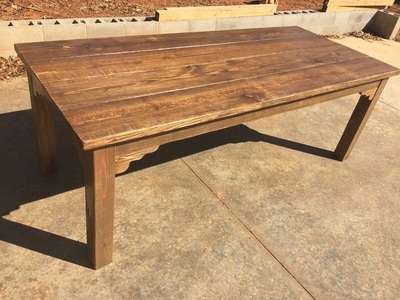 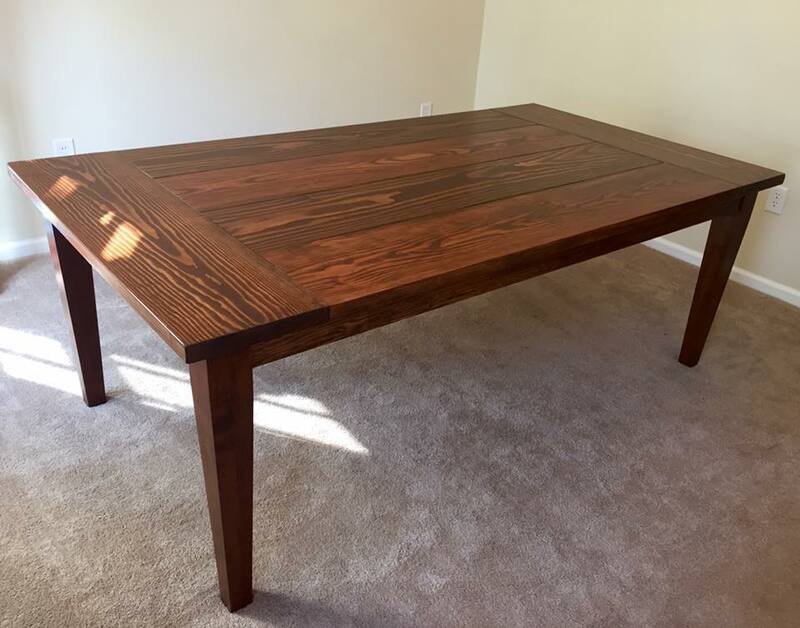 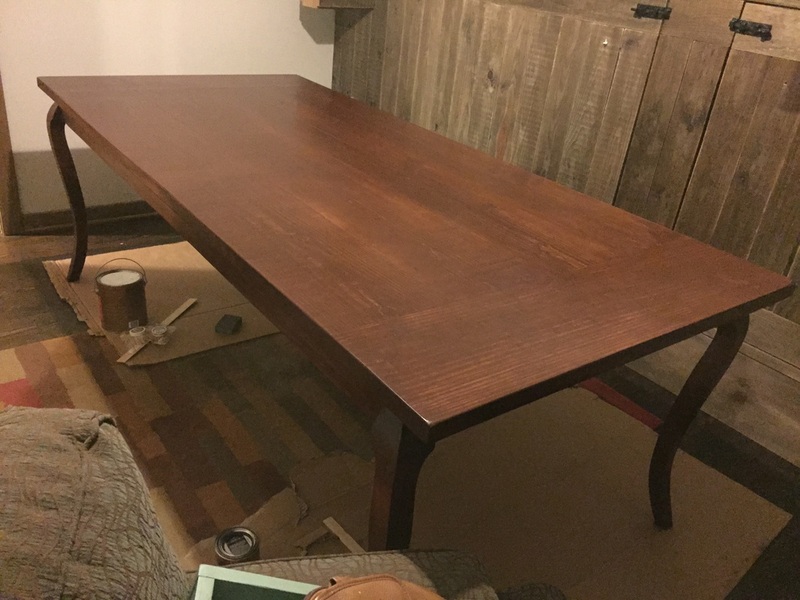 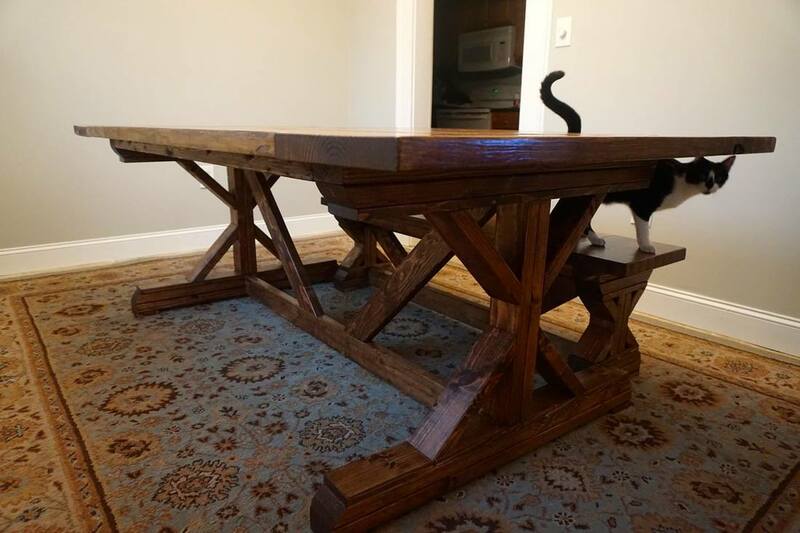 7' Custom farm table with scrolled aprons and unique stain mixture. 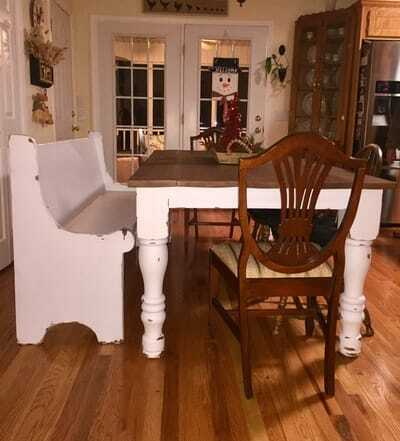 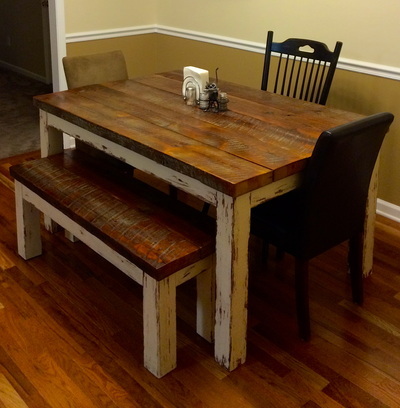 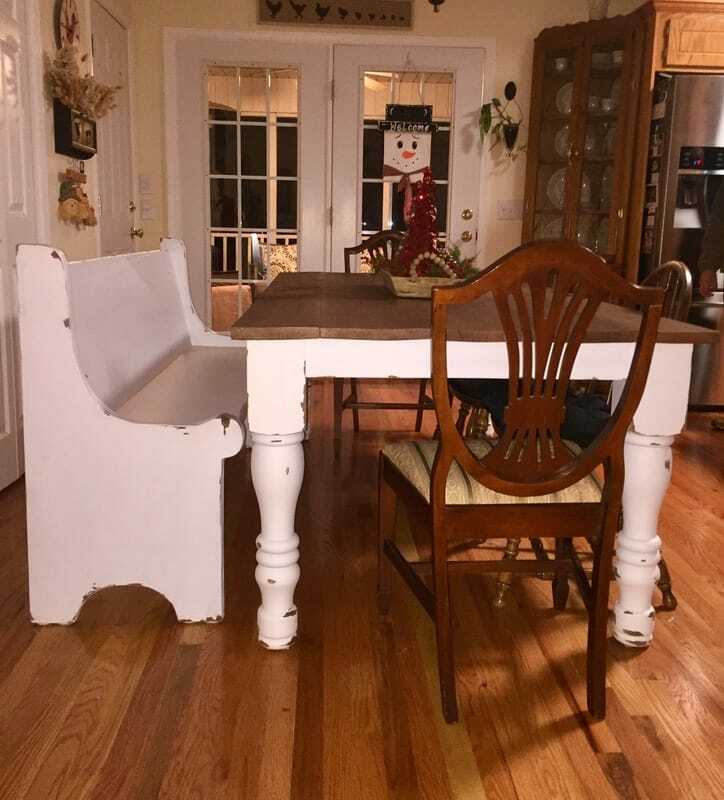 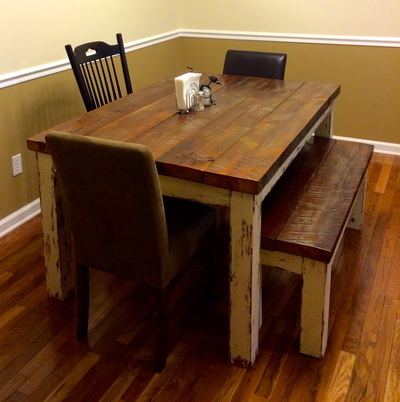 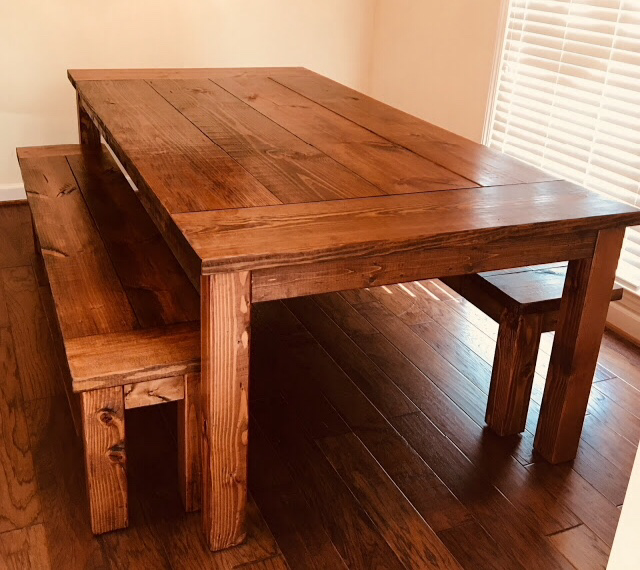 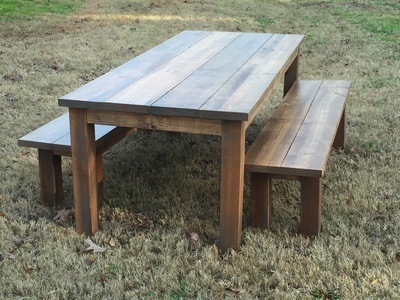 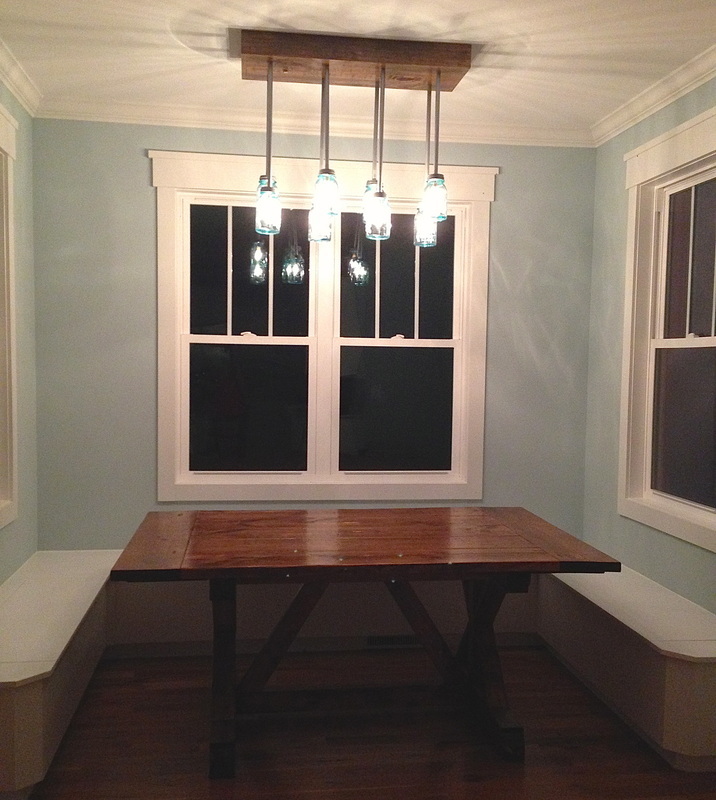 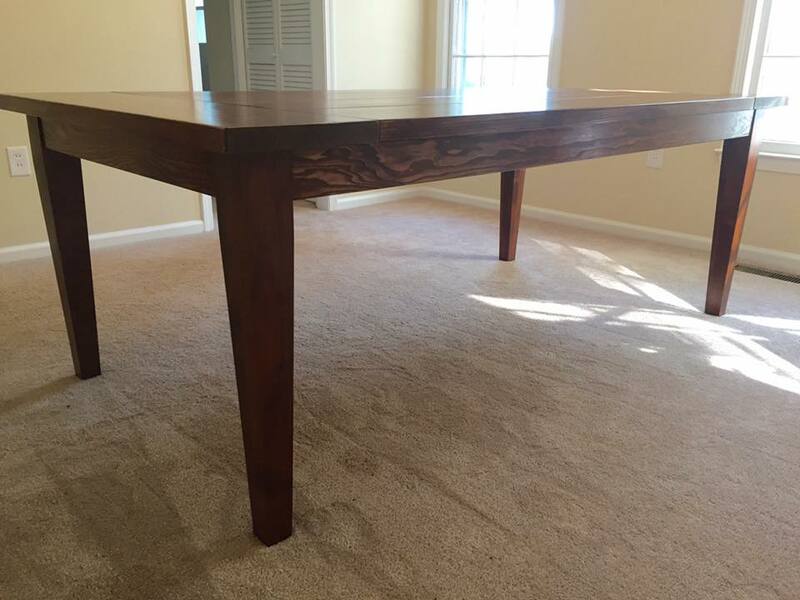 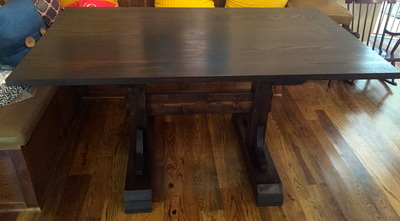 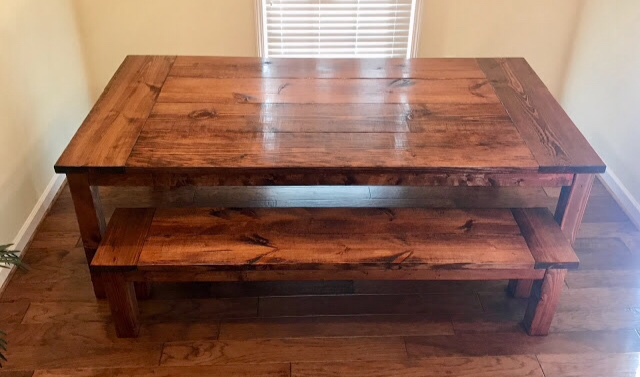 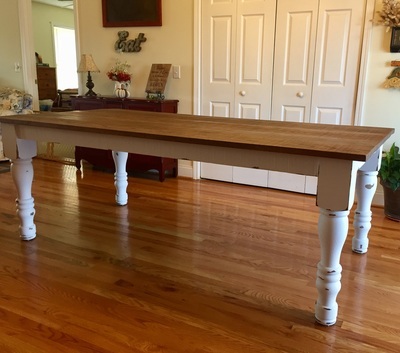 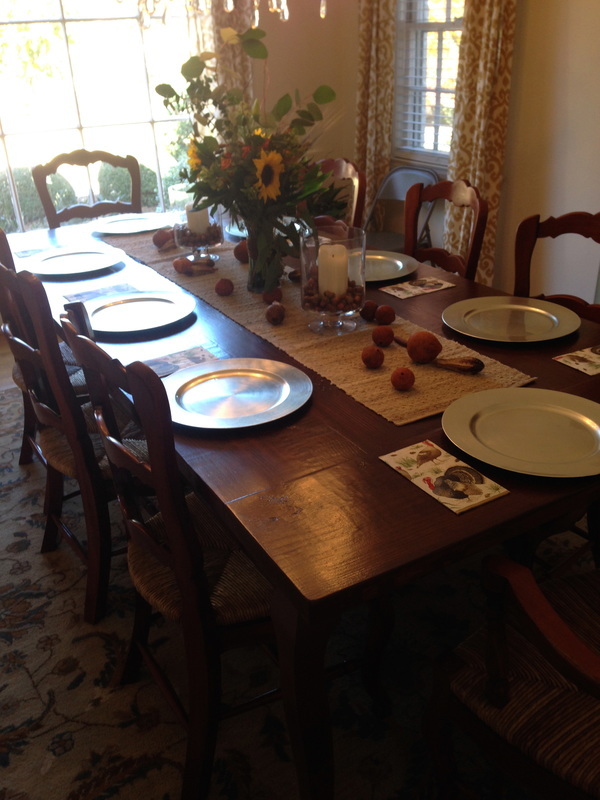 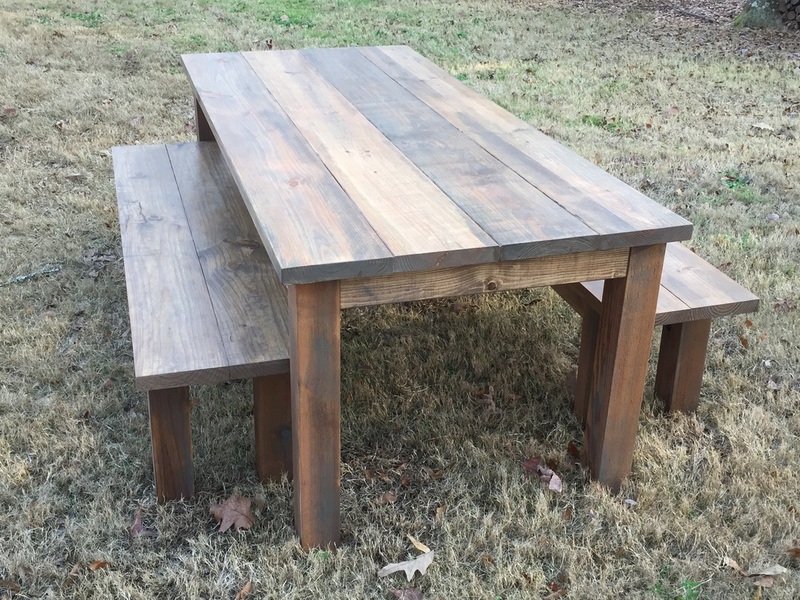 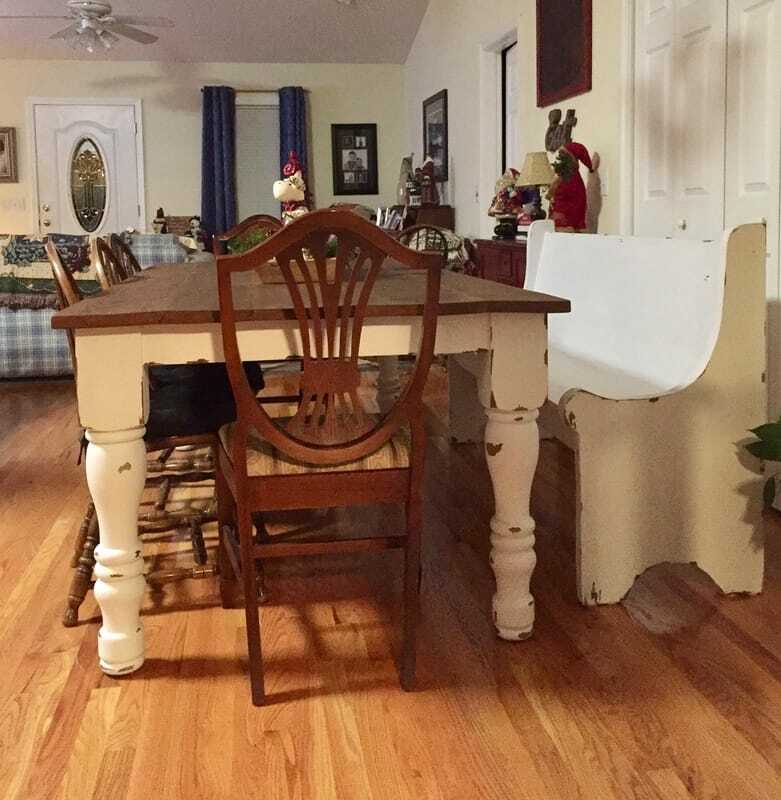 Custom breakfast nook farm table with pedestal base and bread board ends. Slight distressing, stained with multiple colors to achieve character and depth. 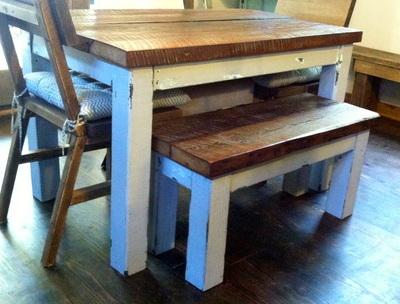 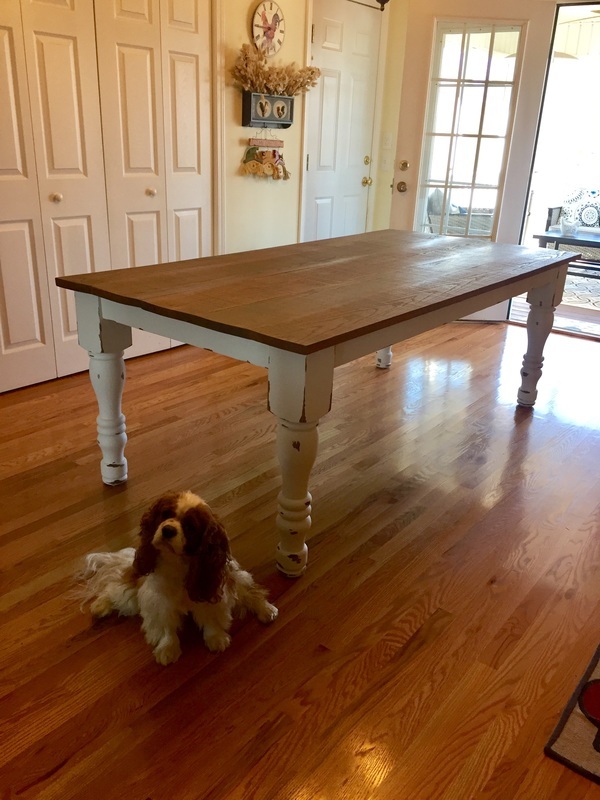 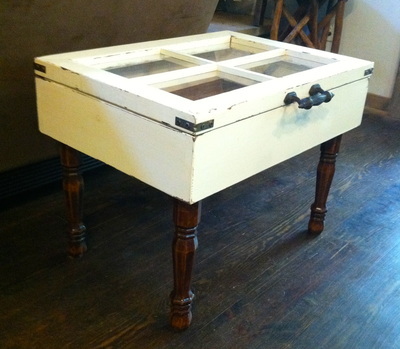 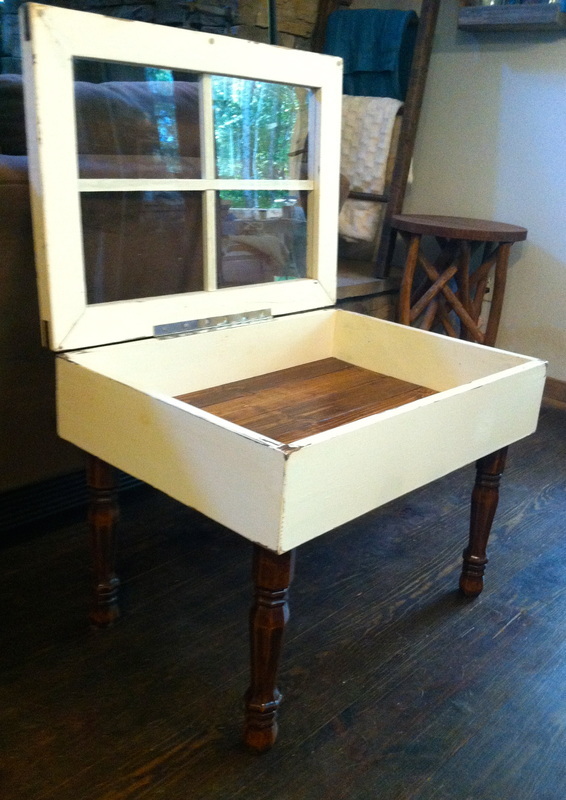 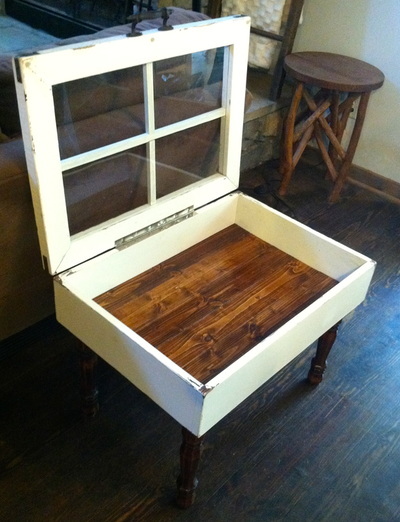 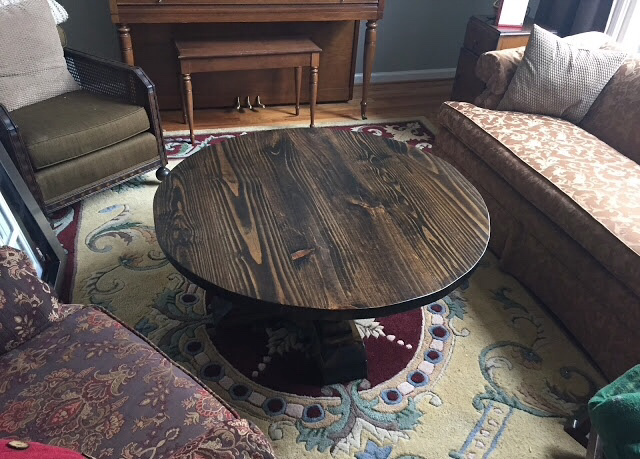 Smaller table using 60+ year old wood for the table top, layered paint apron and legs. 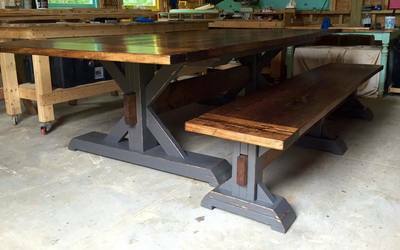 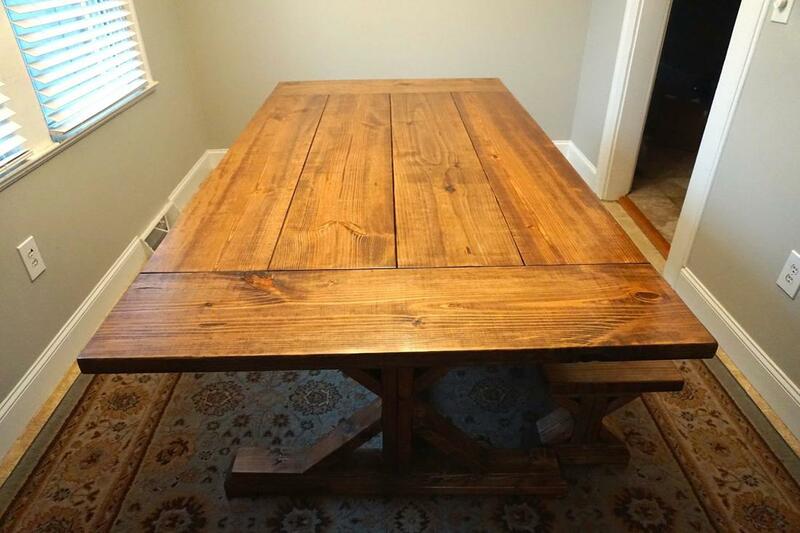 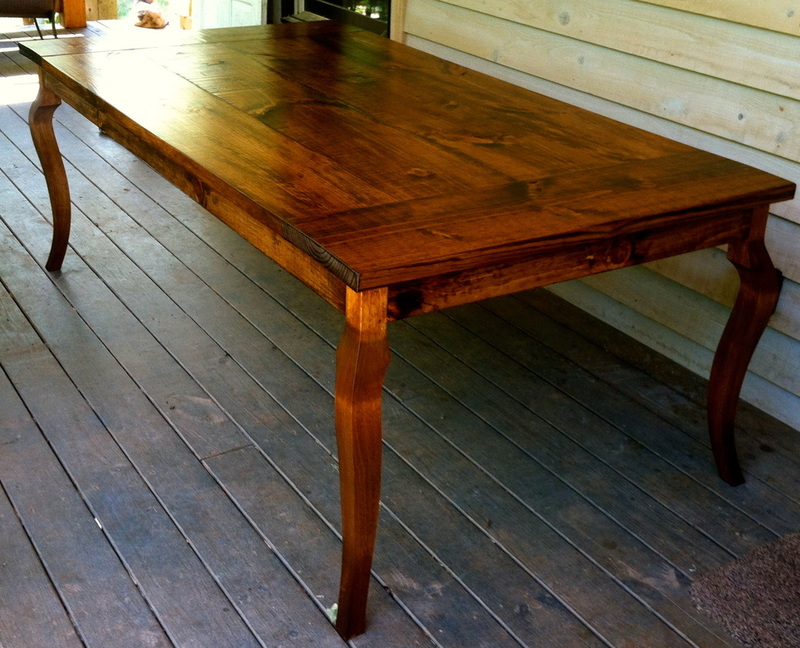 84" x 44" Custom farm table with cabriole legs. 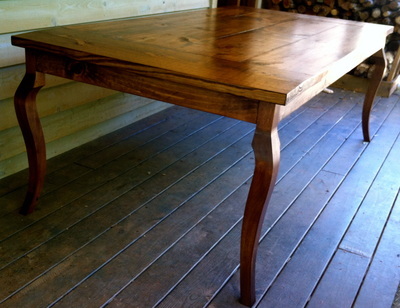 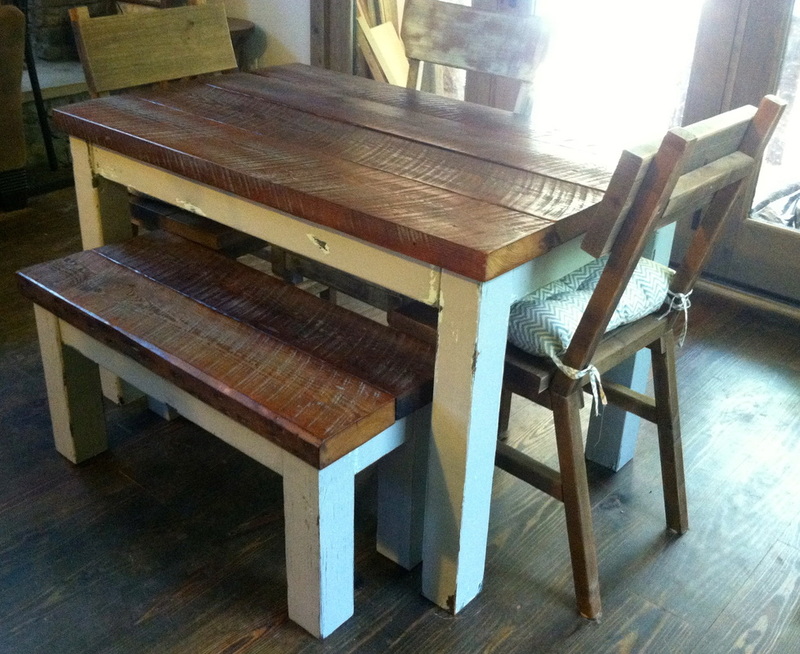 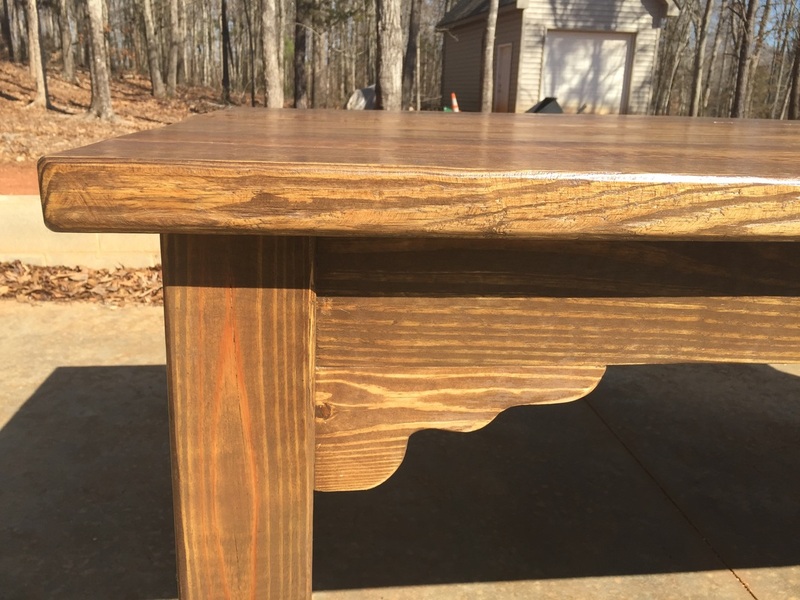 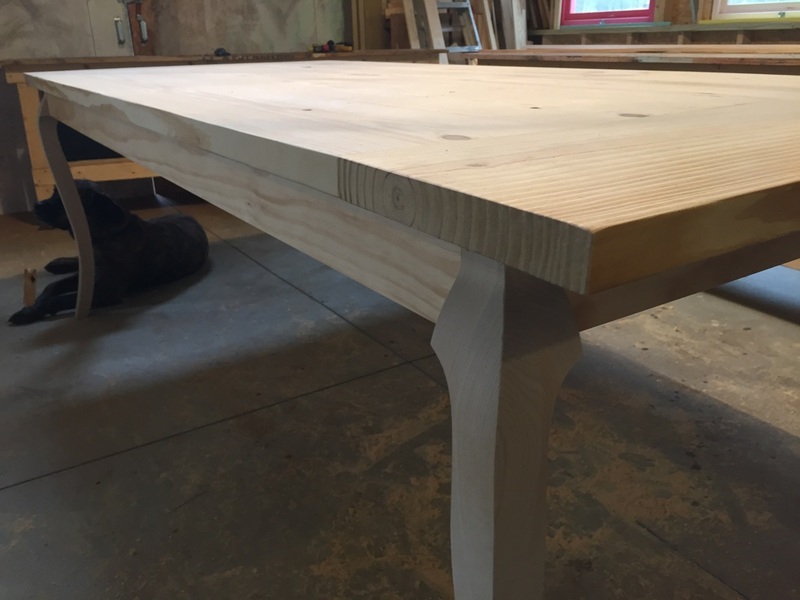 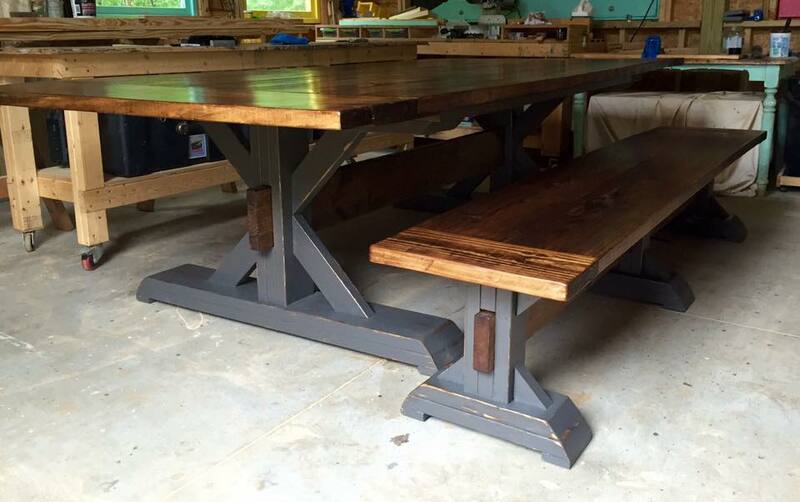 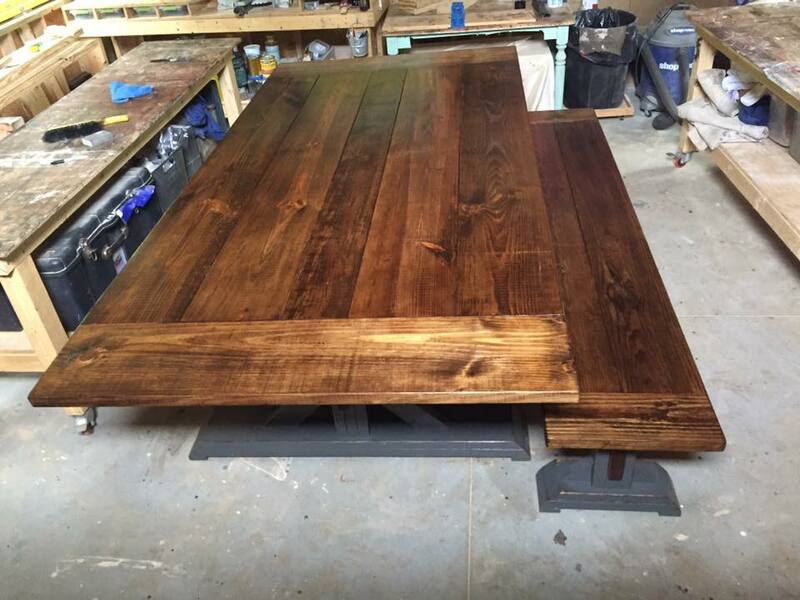 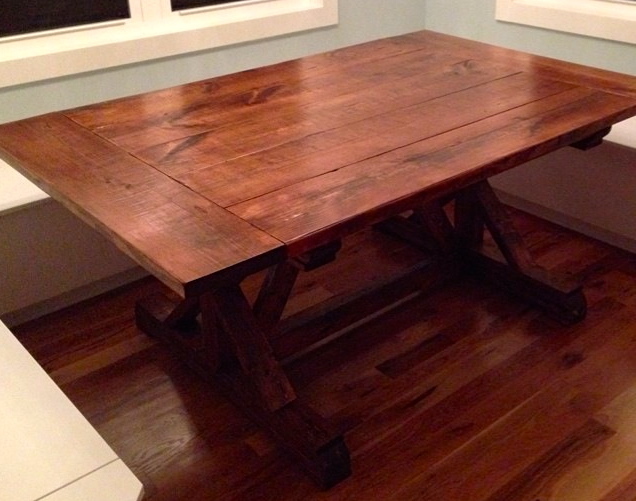 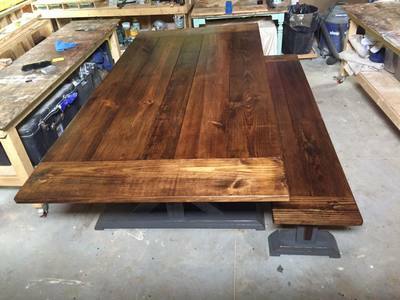 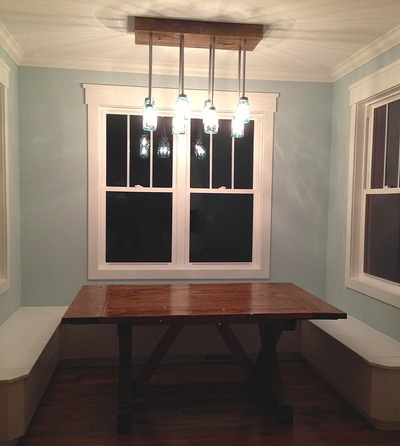 Table top and aprons are pine while legs are hickory for added hardness and strength.